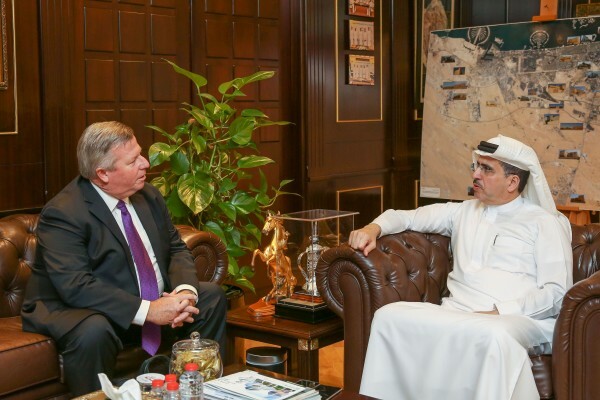 (Dubai) – Saeed Mohammed Al Tayer, Managing Director and CEO of Dubai Electricity and Water Authority (DEWA), and Robert Thornton, President and CEO of the International District Energy Association (IDEA), met at DEWA’s headquarters to discuss ways to further cooperation between the two sides. They reviewed DEWA’s best global practices and experiences, and how DEWA is working to provide electricity and water services in accordance with the highest standards of availability, reliability, and efficiency. Al Tayer briefed Thornton on DEWA’s programmes, plans, and projects to achieve the visions and directives of Dubai’s wise leadership regarding environmental sustainability, and transforming Dubai into the world’s leading city for clean energy and green economy. He further explained that DEWA has a comprehensive view of the energy sector, taking into account energy security, sustainability, efficiency, and the rationalisation of consumption, as well as having a clear vision for the Dubai Clean Energy Strategy 2050 and the Demand Side Management Strategy 2030 to reduce energy and water consumption by 30% by 2030. He also said that Dubai has district-cooling facilities provided by Emirates Central Cooling Systems Corporation (Empower) which significantly contributes to lowering energy consumption rates, thus reducing carbon dioxide emissions. 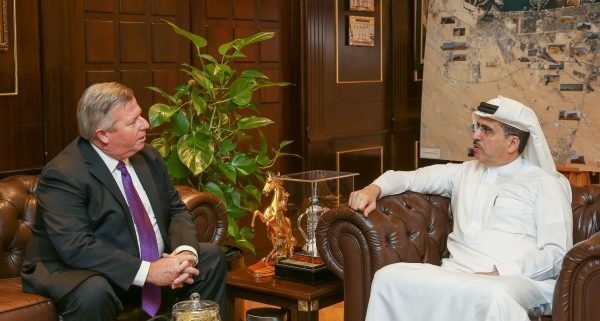 The President and CEO of the International District Energy Association commended DEWA’s efforts and its distinguished role, and thanked Al Tayer for providing both sides an opportunity to discuss joint cooperation relations.